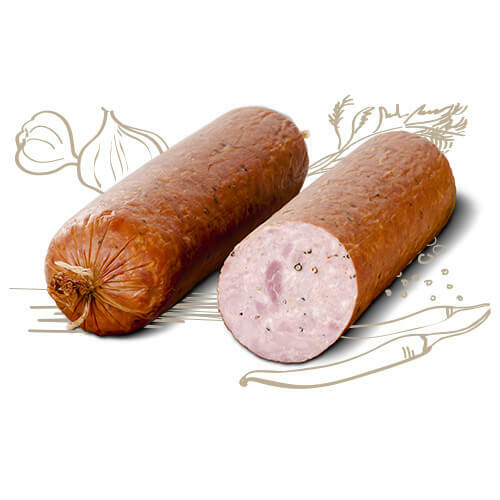 Home-made sausage Bacówka is an excellent choice both for the main course as an independent snack or addition to sandwiches. Thanks to the unique recipes and carefully selected spices taste great and are ideal for many culinary applications. 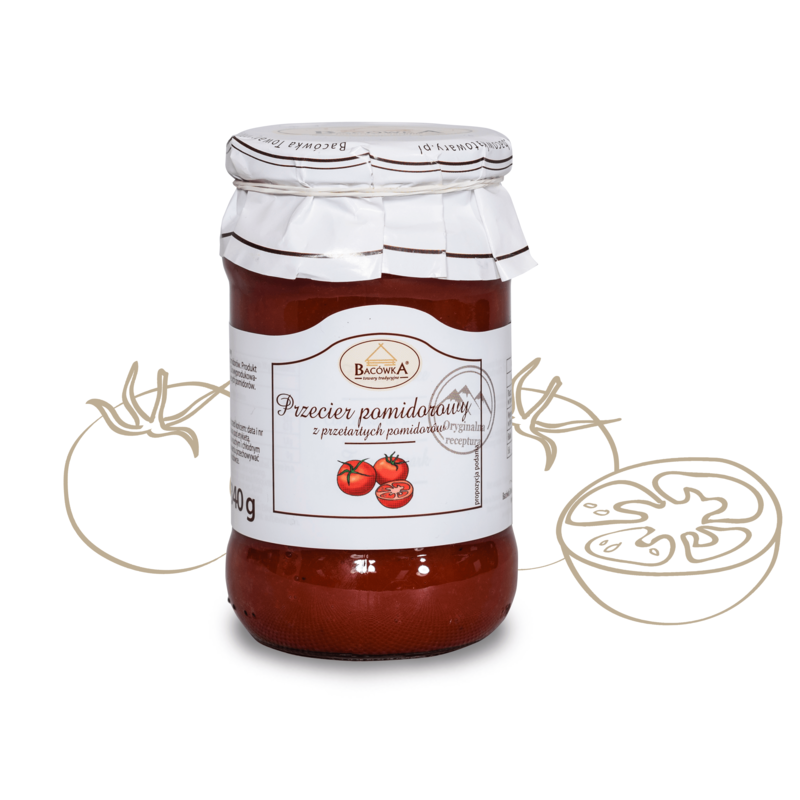 Rich, aromatic tomato puree with Bacówki is full of true flavor of juicy, ripening in the summer sun tomatoes. Prepared on its base of tomato soup delight all members of the household taste great. 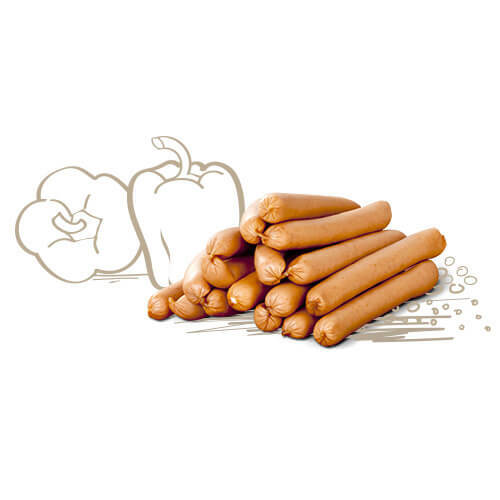 Produced by the proven recipe, with the highest quality tomatoes. 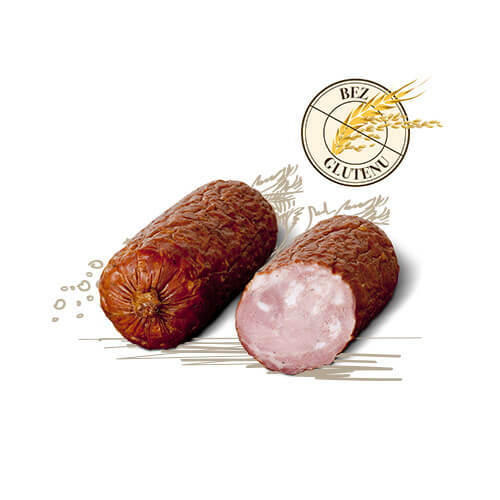 This traditional thick ham sausage is made from carefully selected pork. 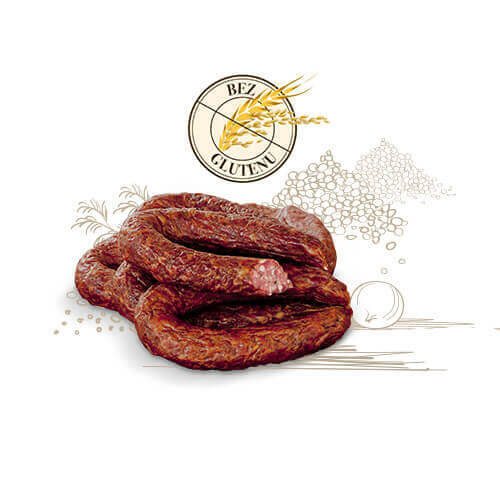 It tastes exquisite and is the perfect accompaniment to any kind of bread. Premium quality product. 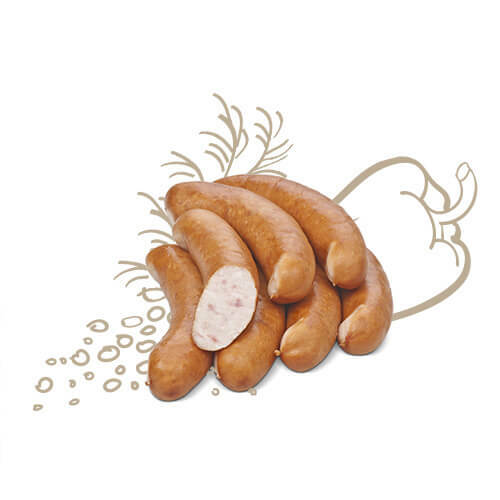 Excellent sausages made from high quality pork. 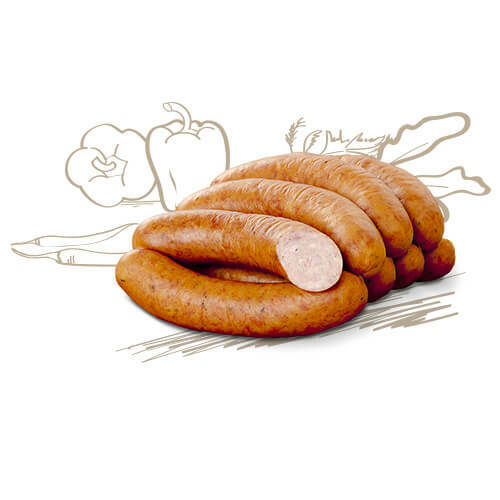 Their tender taste is highlighted by well-balanced composition of spices. Ideal for many occasions: as a solo snack, with any sauce, in a pie or a sandwich. 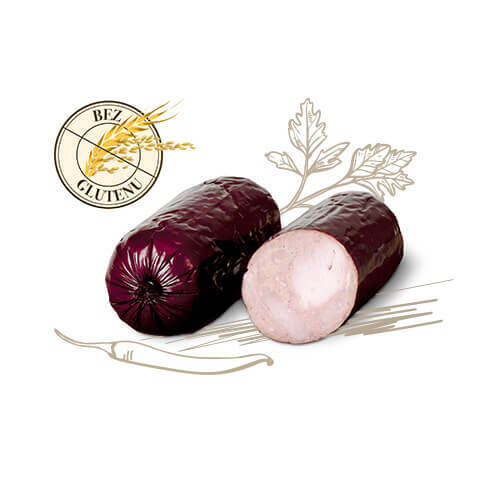 This splendid Silesian sausage does well not only for a main dish but also for side dish as well as a soup accompaniment . 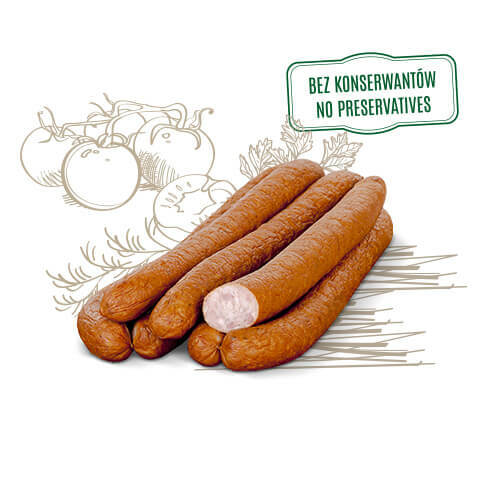 Tastes great grilled, boiled or raw, especially with some grated horseradish from BACÓWKA. 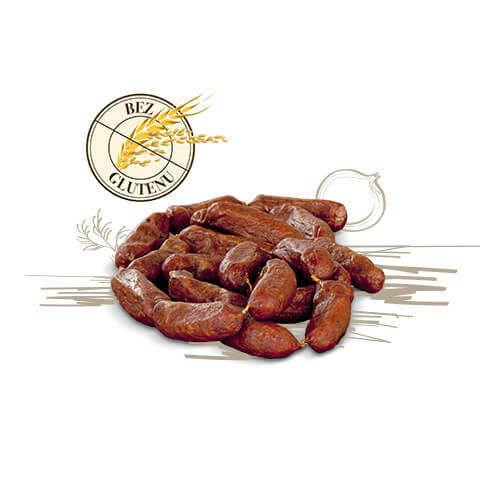 A slight pepper flavour and masterly quality are their distinguishing features. 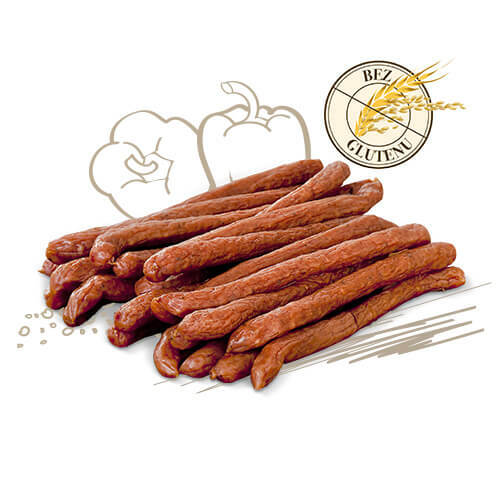 These delicious thin sausages taste great cold as well as hot – boiled or grilled. 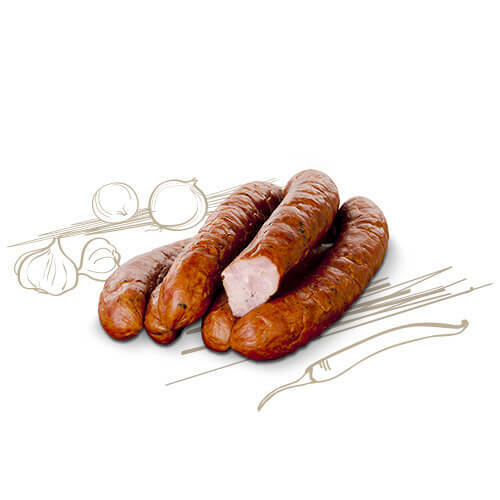 This classic scalded and slightly smoked sausage is a must for a barbecue party. 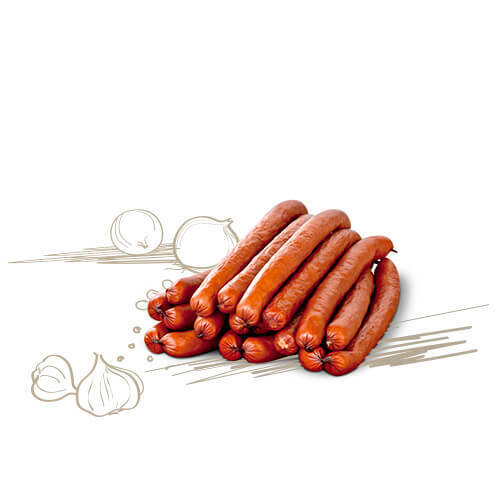 Tastes best straight from the grill, which reveals its full aroma with a scent of garlic and pepper. 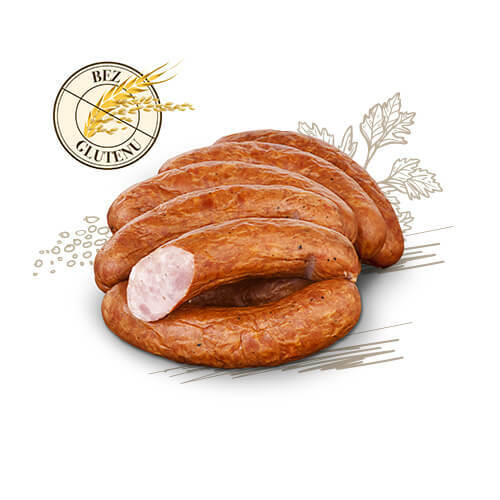 Classic daily sausage made from best pork. 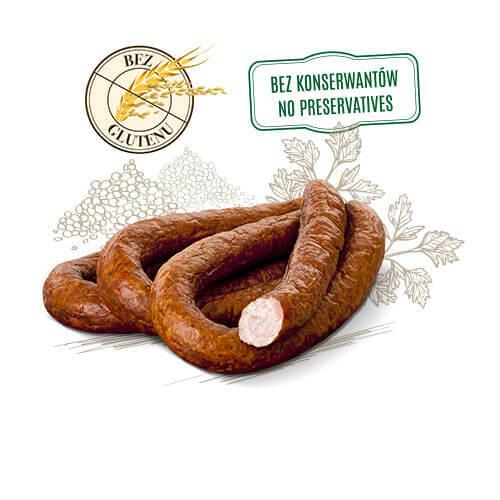 Goes well with all the accompaniments; especially recommended with grated horseradish from BACÓWKA. 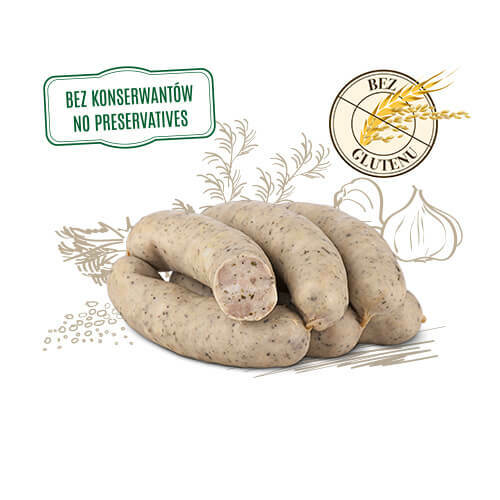 Tasty sausage liberally spiced with garlic and marjoram and a distinguishing hint of pepper. 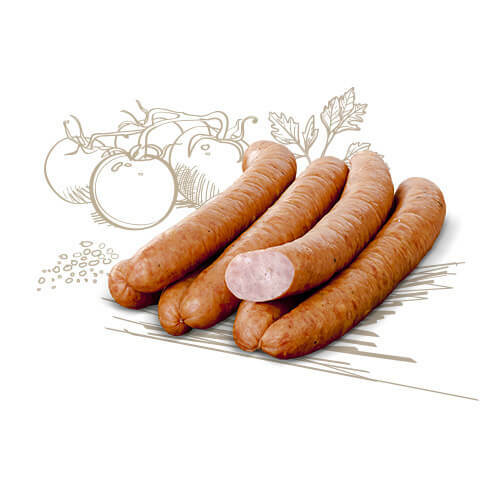 Premium product made from top quality pork. 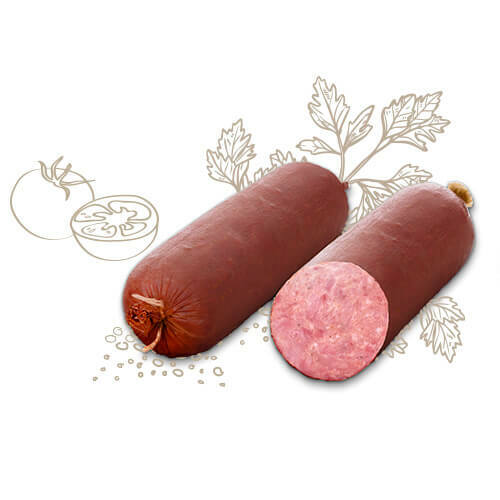 Premium quality sausage made from ham. 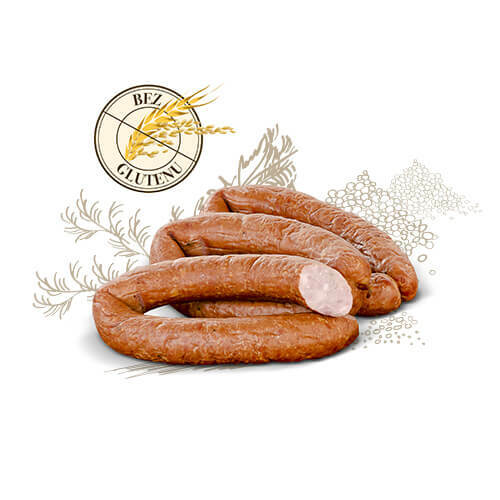 Slightly smoked owns its exquisite flavour to a unique blend of seasonings. 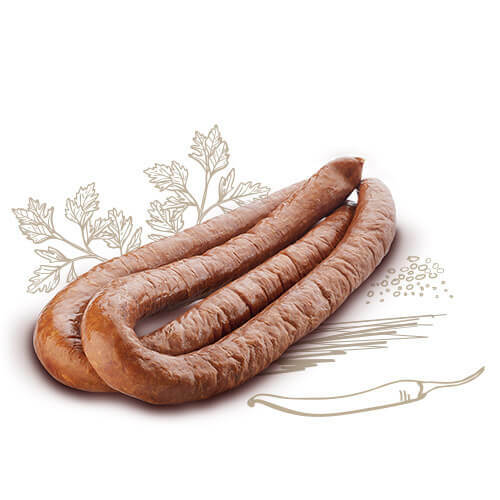 Works well with wholemeal bread and vegetables. 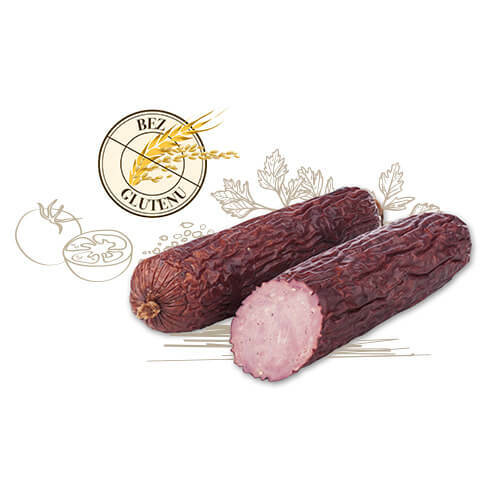 Top quality pork with the addition of delicious veal. 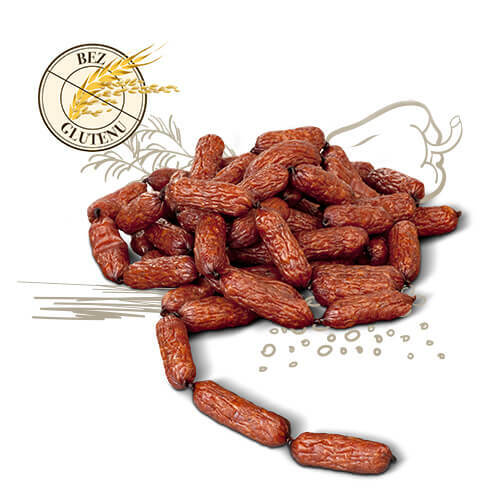 Its excellent taste and smoky aroma will impress any consumer.